The stair experts. Lapeyre Stair manufactures alternating tread stairs, steel egress stairs, and custom stair systems. 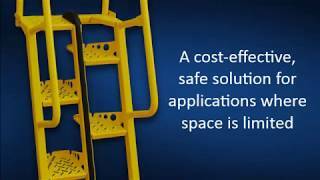 Offering in-house design, engineering, and detailing, Lapeyre Stair provides a complete outsource solution for highly adaptable stair systems designed to meet relevant building codes and create a safer work environment. At the company's headquarters in New Orleans, Louisiana, Lapeyre Stair custom-builds each stair to fit specific height and building code requirements.